Taco Bell's already got nachos, and while they're delicious, they're woefully undersized (Ok, so maybe they're normal-sized, but doesn't everyone want more nachos?). Enter: XXL Nachos. 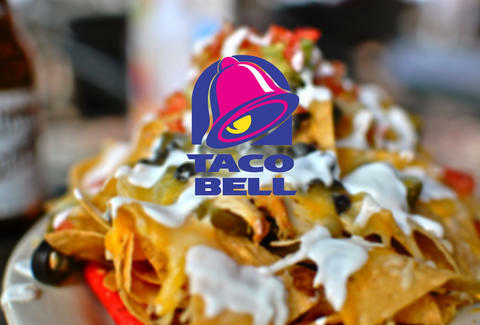 Taco Bell has experimented with them before, but they've always been available for a limited time only. Now, all evidence points to their imminent return (most likely around December 15th). Brace your second stomach. The XXL Nachos (available in steak, shredded chicken, and beef varieties) come in a dish designed to hold up to one pound of food, and greet you with an enthusiastic "HUNGER CONQUERED" if you actually reach the bottom. They come with beans, a three-cheese blend, guacamole, nacho cheese, pico de gallo, sour cream, and your choice of topping. In addition to these mountains of meat, they're also going to be rolling out Crunchwrap Sliders by the end of the month -- which, contrary to the general trend of the XXL Nachos, will be smaller versions of their menu mainstays. So you can eat even more of them. Adam Lapetina is a Food/Drink staff writer for Thrillist, and wants Taco Bell to invent burrito sliders. Read his musings at @adamlapetina.